Login failed. Connection to the server timed out. Please try again later. Been getting this a lot over the last few days. Even got a CE-34878-0 error yesterday. It's not been this bad before, sure the odd connection error but lately it's every time I try and play. If you're having issues then please let us know so we'll at least expect it. 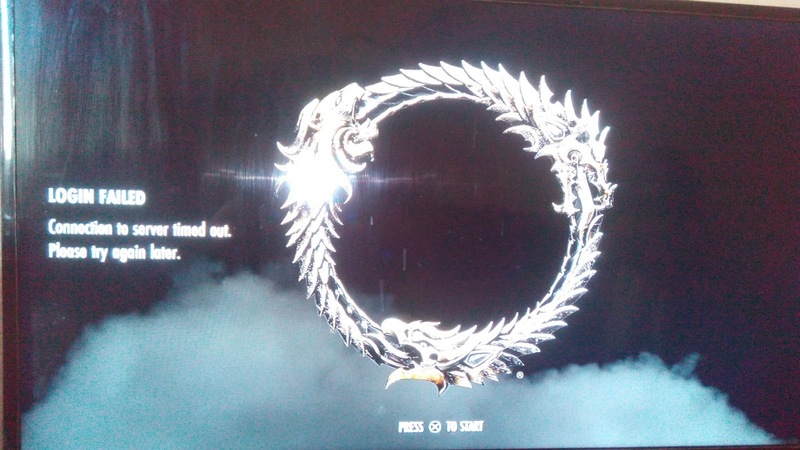 Omg ZOS, not again .... yesterday 4 and a half hour maintenance and now this again ... why are we paying eso plus if the game is more down than up ... can we at least get feedback on what is being done about this??? "May your sword be sharp, and your tongue sharper!" Please completely reboot your client, then try logging back in.